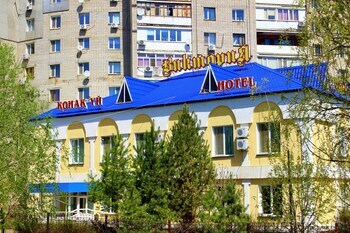 Located in Uralsk, Victoria Hotel is within a 15-minute walk of Uralsk Mall and Uralsk Stadium. Featured amenities include a 24-hour front desk, luggage storage, and laundry facilities. Self parking (subject to charges) is available onsite. When you stay at Economy Hotel Zhyger in Astana, you'll be 9 minutes by car from Kazhimukan Munaitpasov Stadium. Free self parking is available onsite.